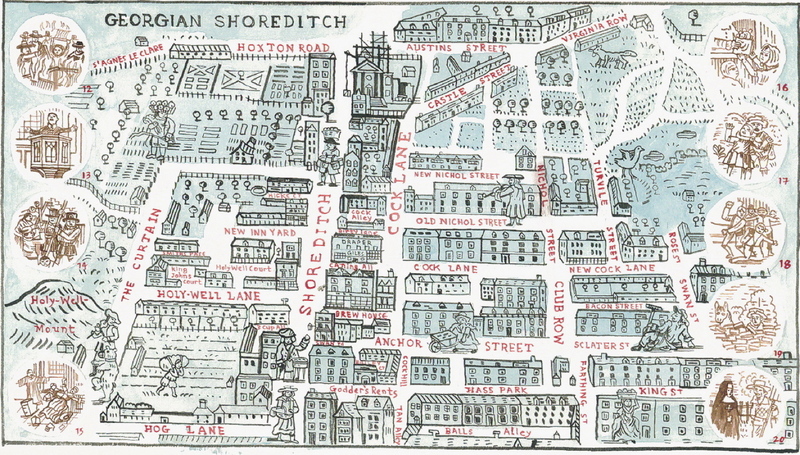 Each Saturday, we shall be featuring one of Adam Dant’s MAPS OF LONDON & BEYOND from the forthcoming book of his extraordinary cartography to published by Spitalfields Life Books & Batsford on June 7th. 30. 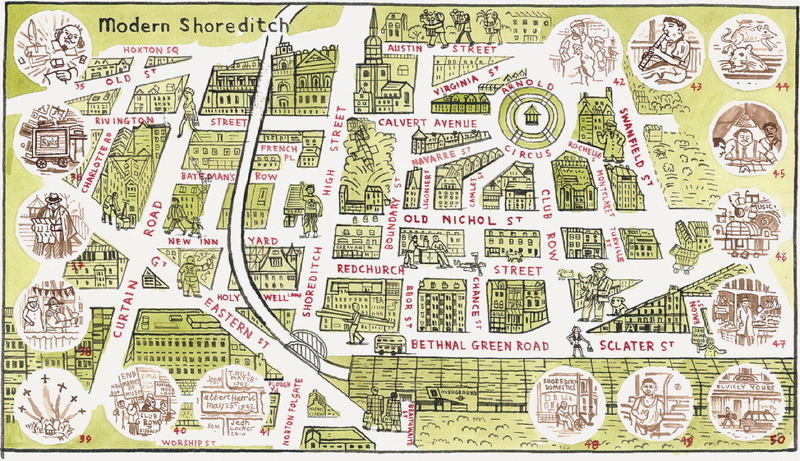 For decades the chalk horse on Eastern Counties Railway, Bishopsgate terminus is redrawn by unknown local artist. 47. Joan Rose‘s father proudly displays his fruit & vegetables on Calvert Avenue whilst she is sent to buy more bags at Gardners Market Sundriesmen (still trading today). 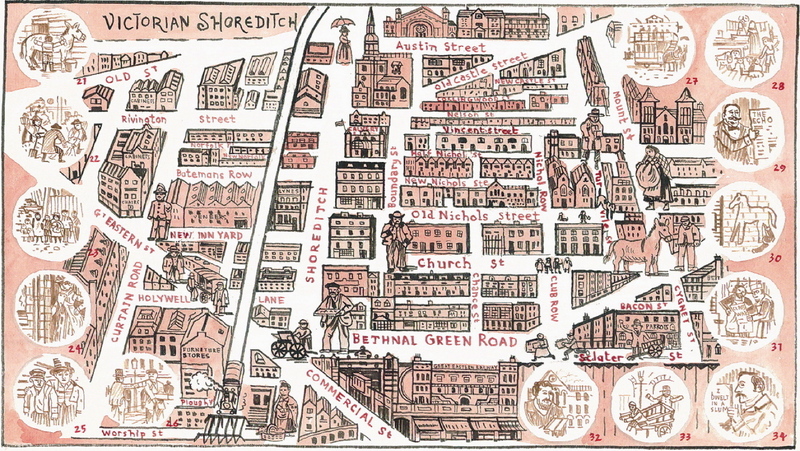 Adam Dant’s MAPS OF LONDON & BEYOND is a mighty monograph collecting together all your favourite works by Spitalfields Life‘s cartographer extraordinaire in a beautiful big hardback book. 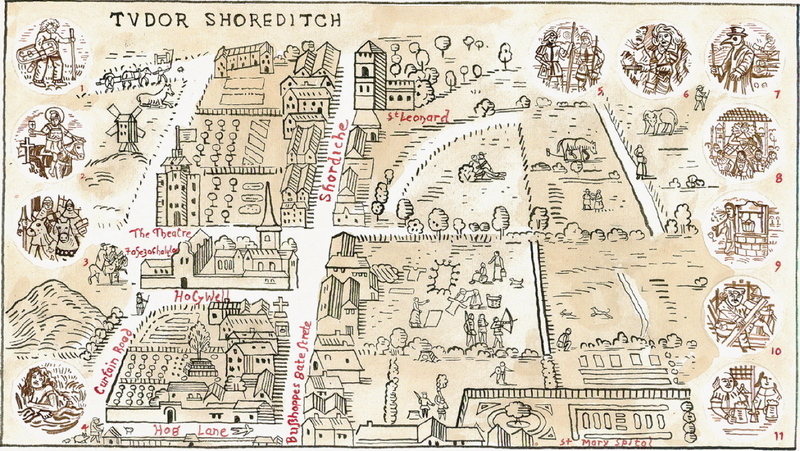 Unparalleled in his draughtsmanship and inventiveness, Adam Dant explores the byways of English cultural history in his ingenious drawings, annotated with erudite commentary and offering hours of fascination for the curious. 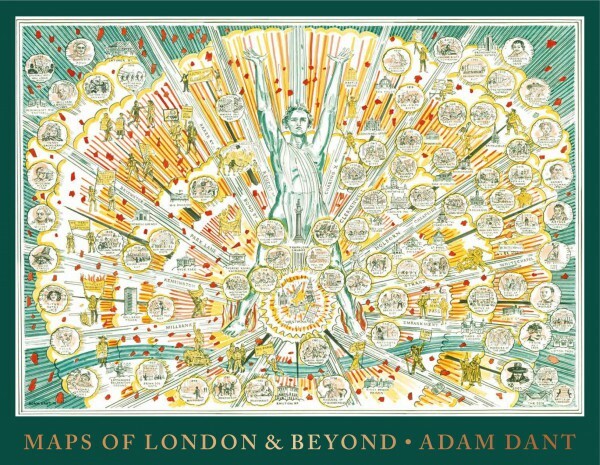 The book includes an extensive interview with Adam Dant by The Gentle Author.